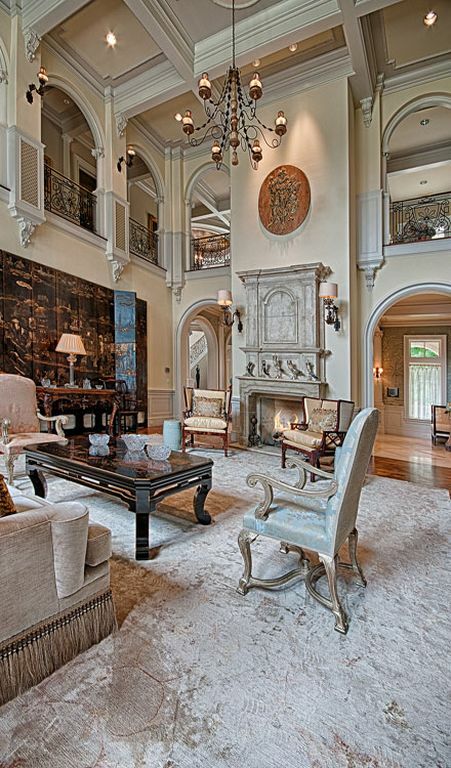 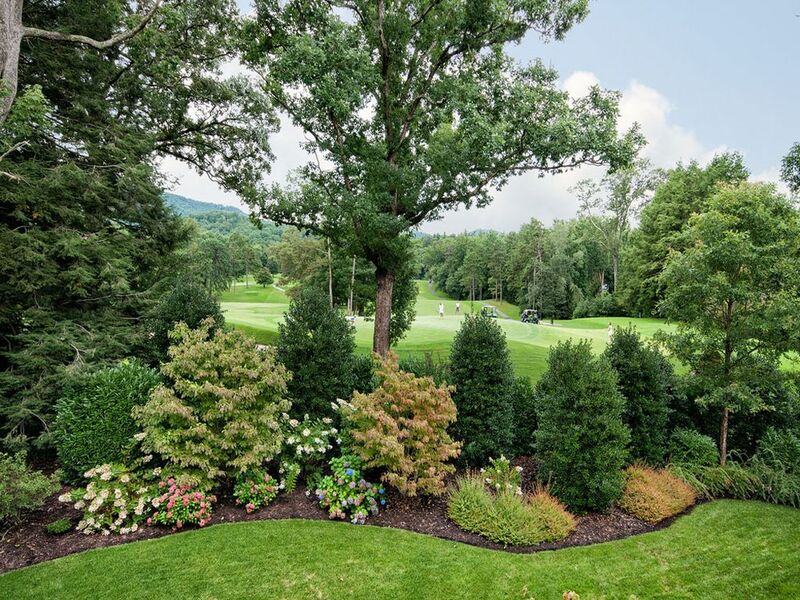 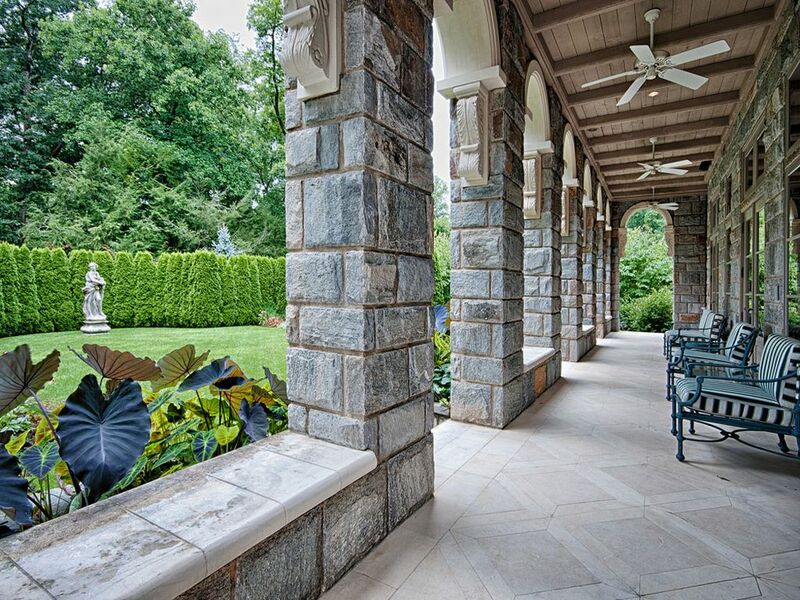 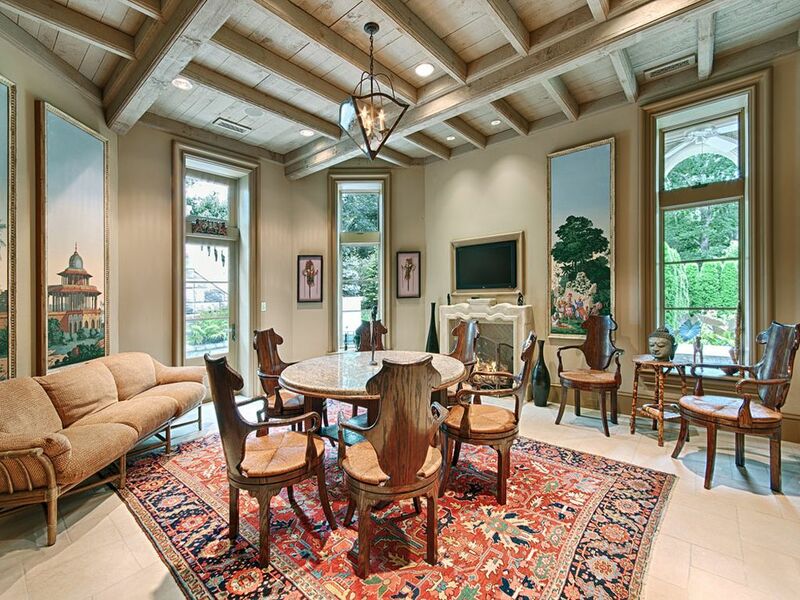 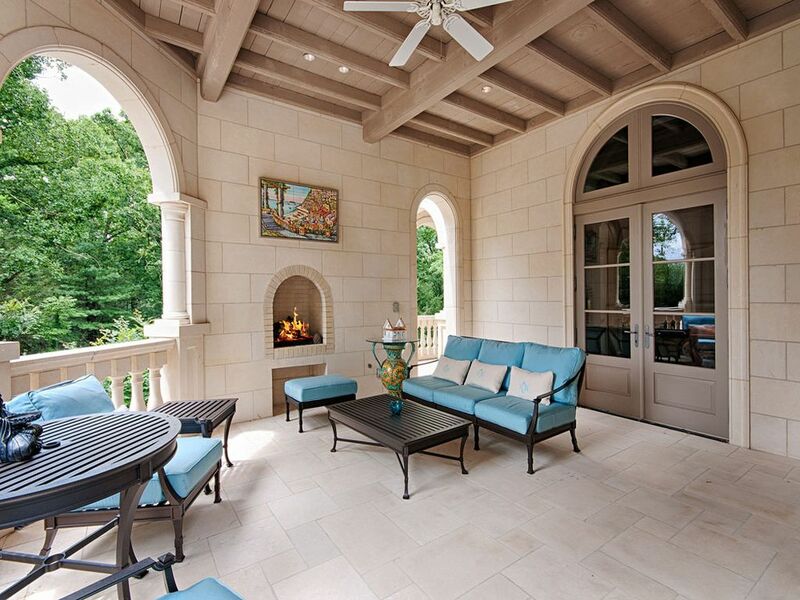 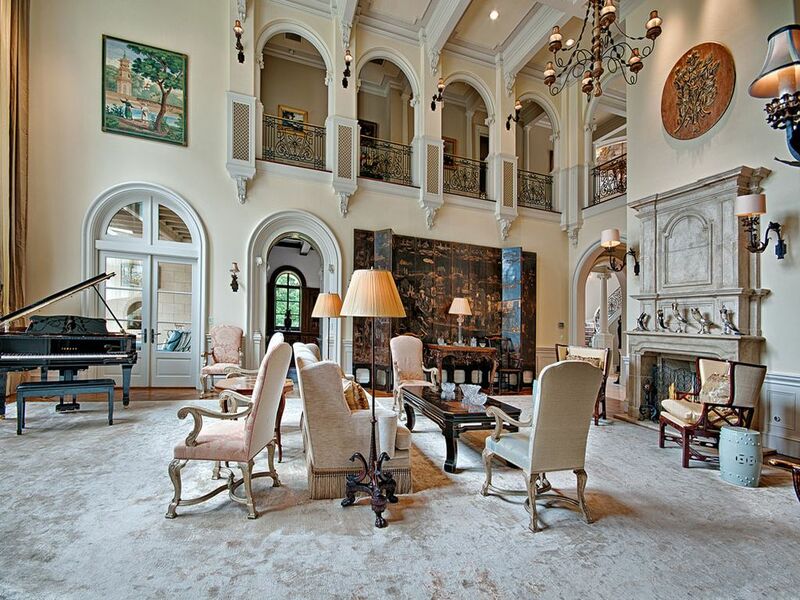 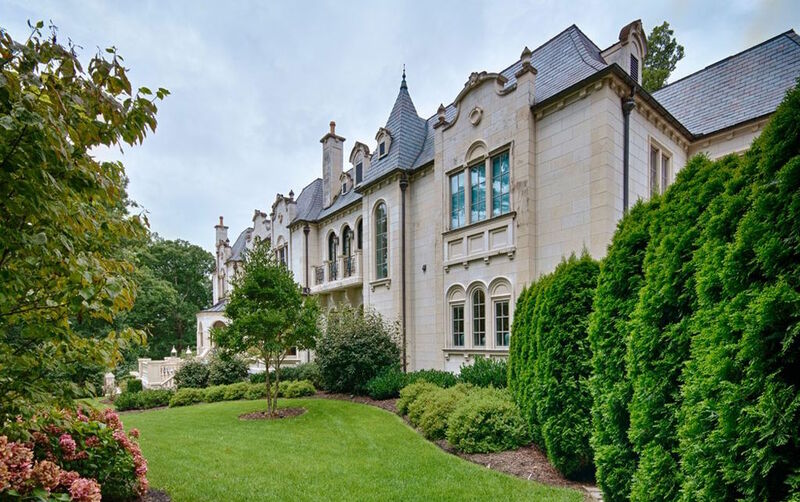 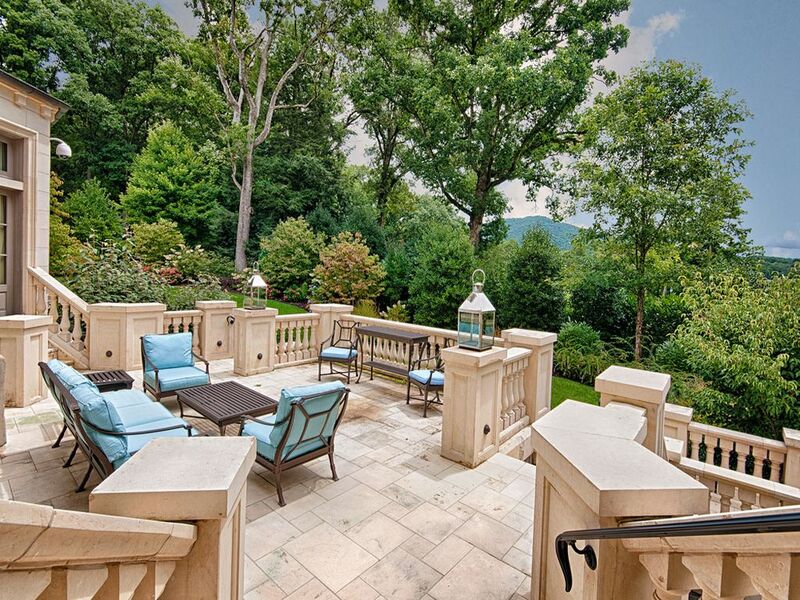 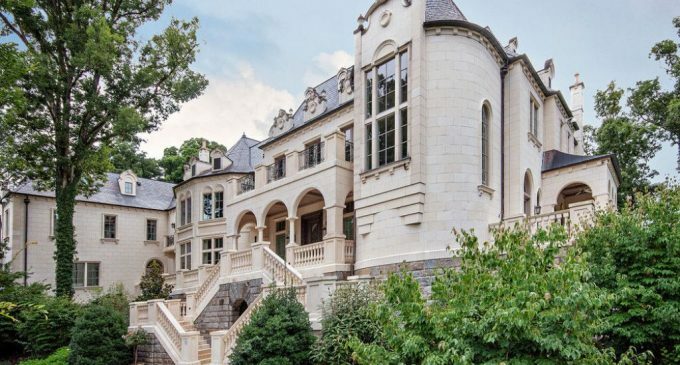 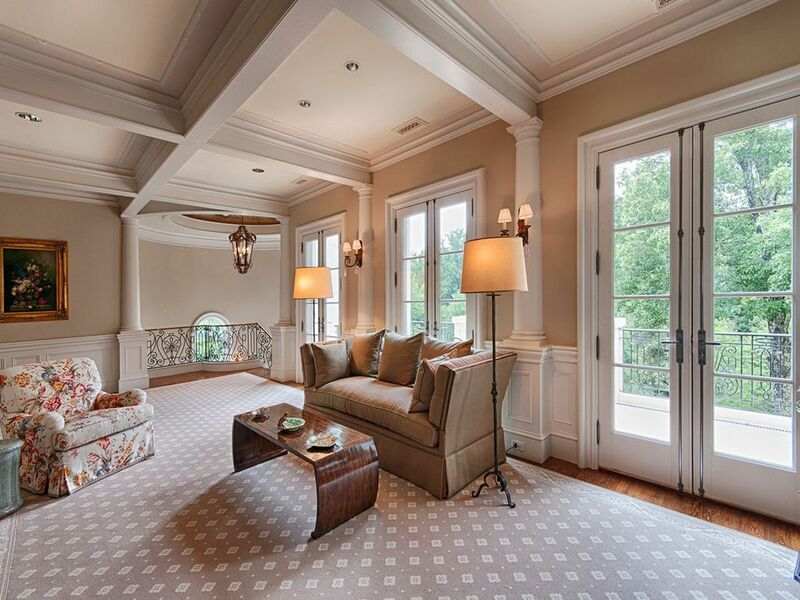 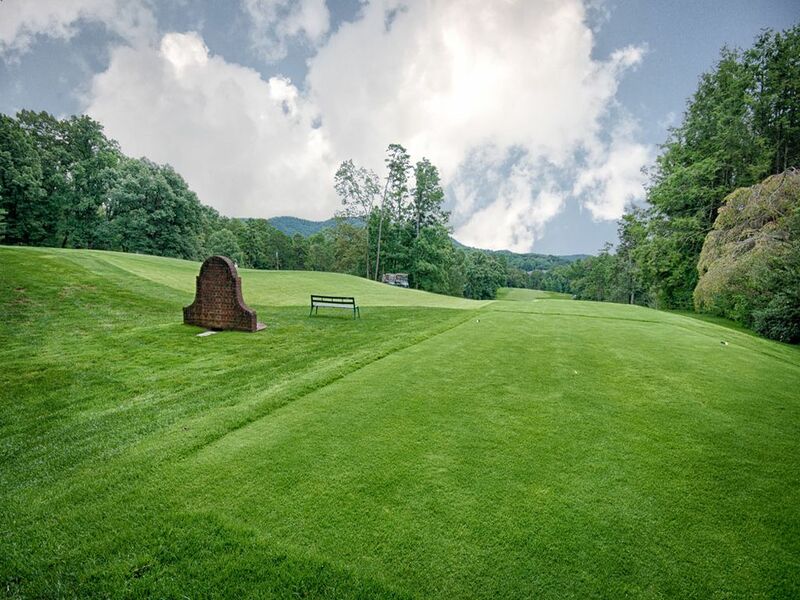 Sitting on nearly 2 acres along the 7th green of the Biltmore Forest Country Club with views toward Busbee Mountain is an incredible 16,000 square foot French Manor constructed of 3-inch thick limestone imported from Lecchi, Italy. 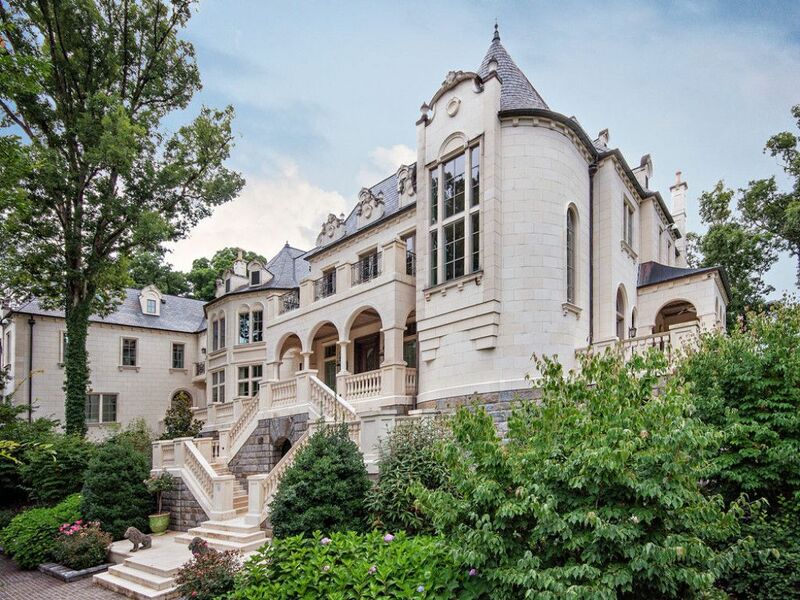 It’s on the market for $10,750,000. 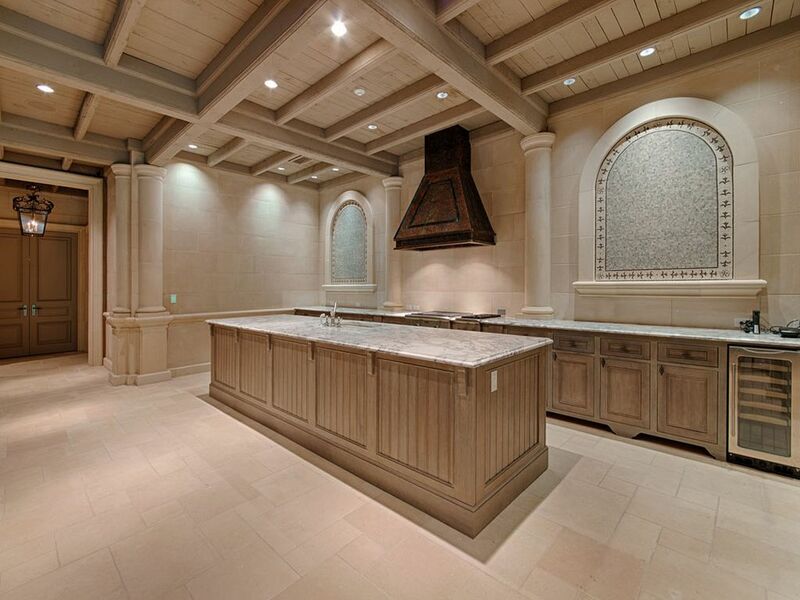 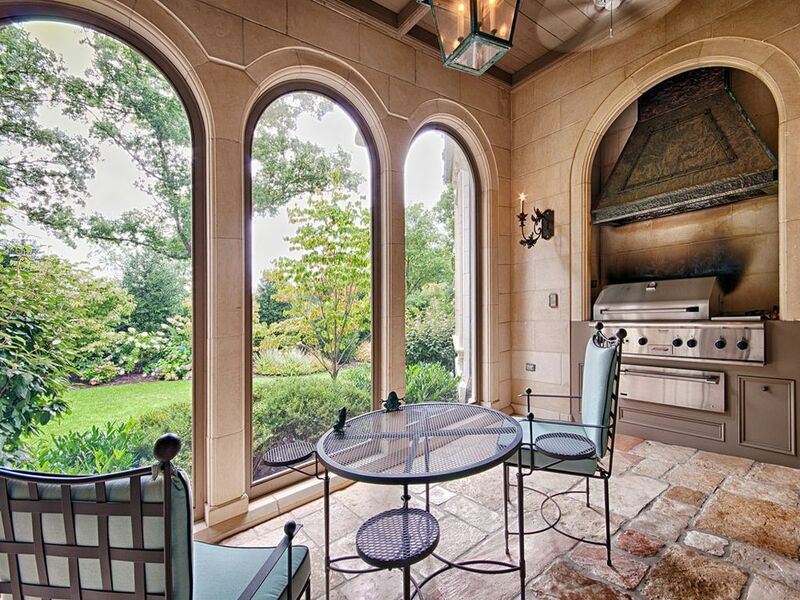 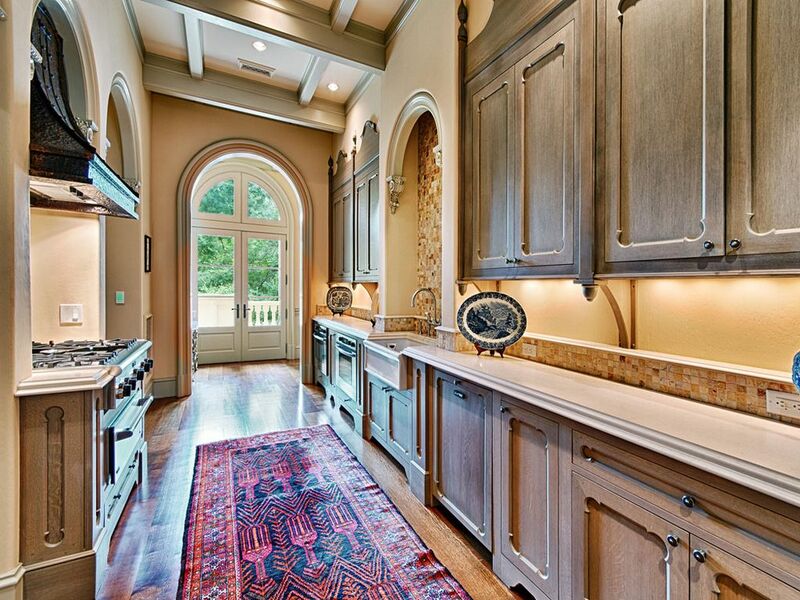 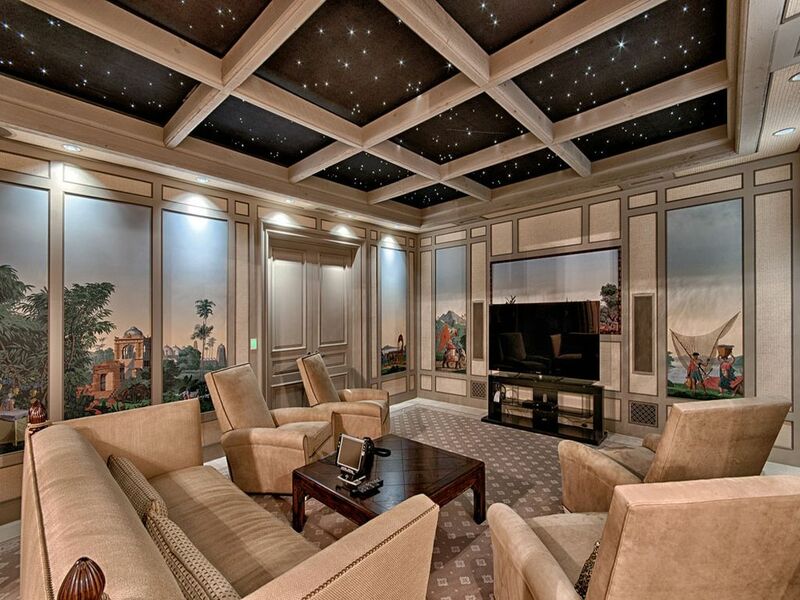 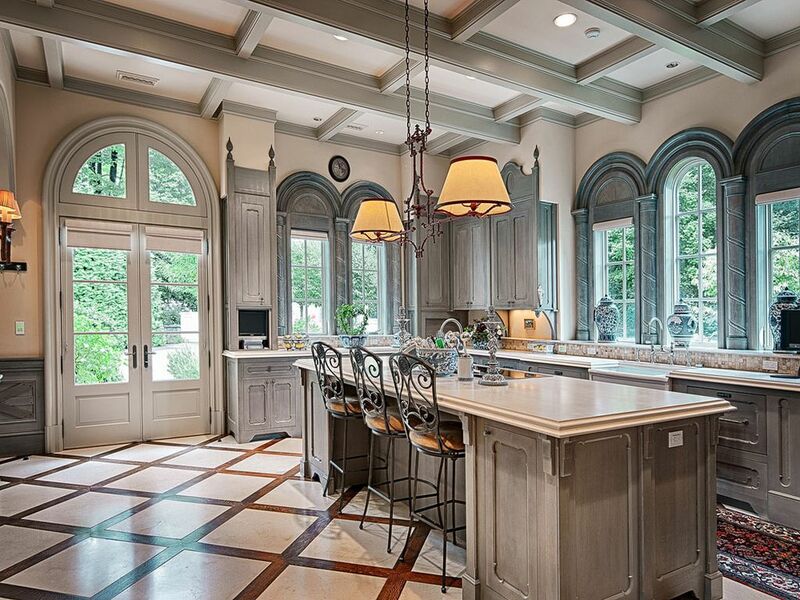 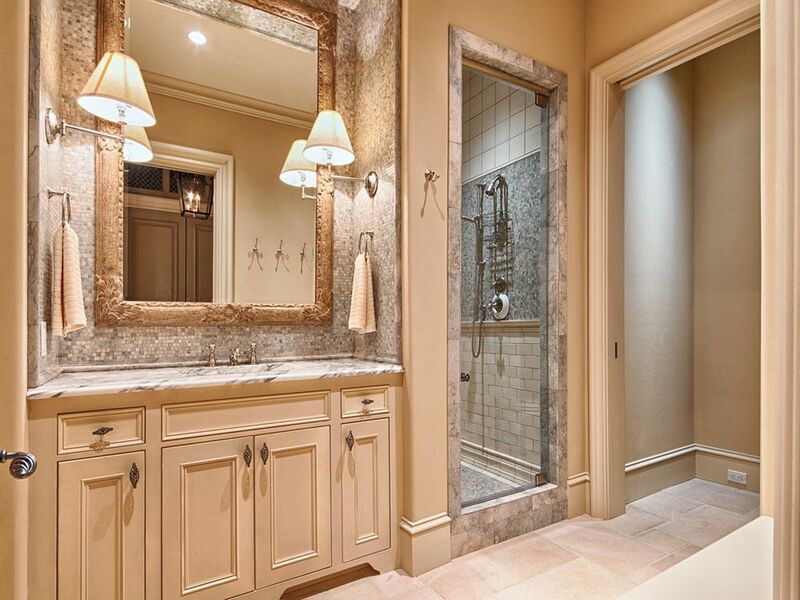 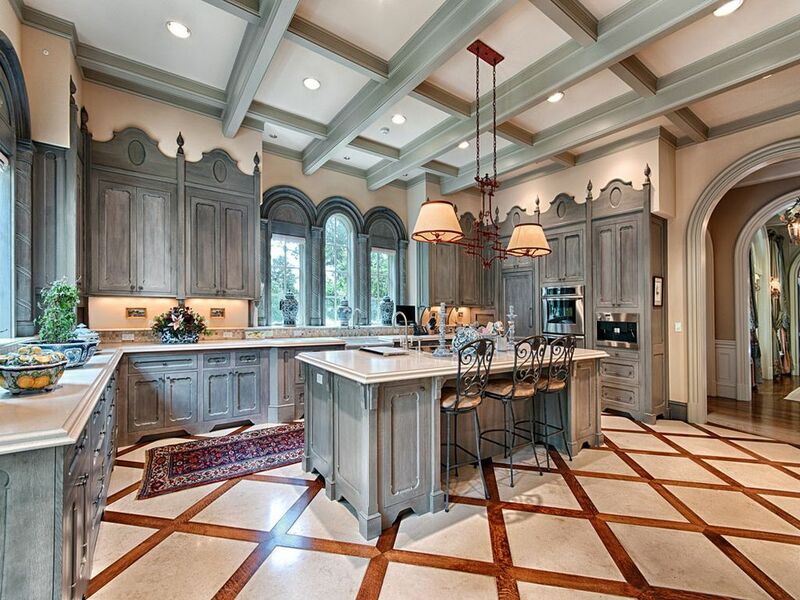 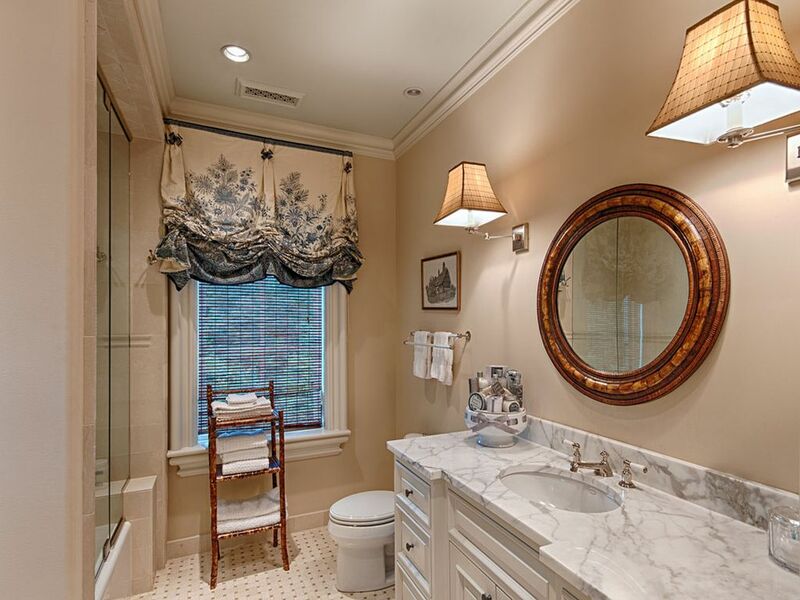 Built in 2006, no expense was sparred in the creation of this truly spectacular custom home. 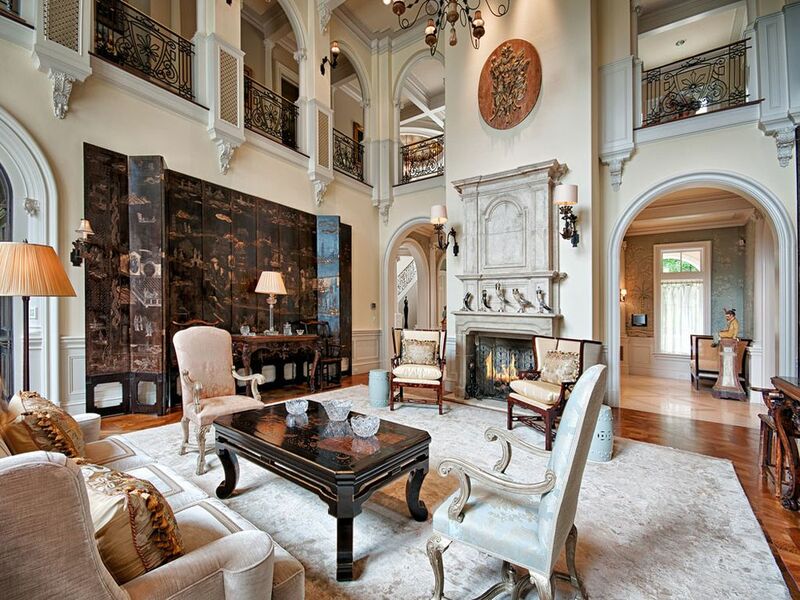 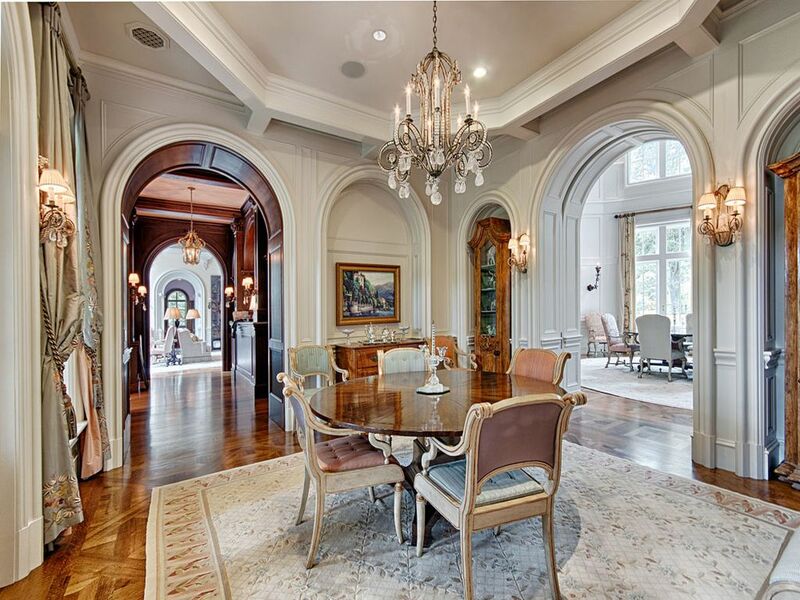 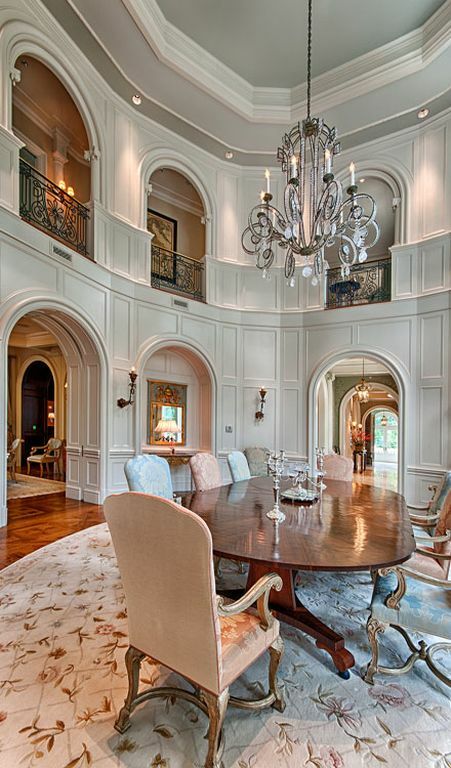 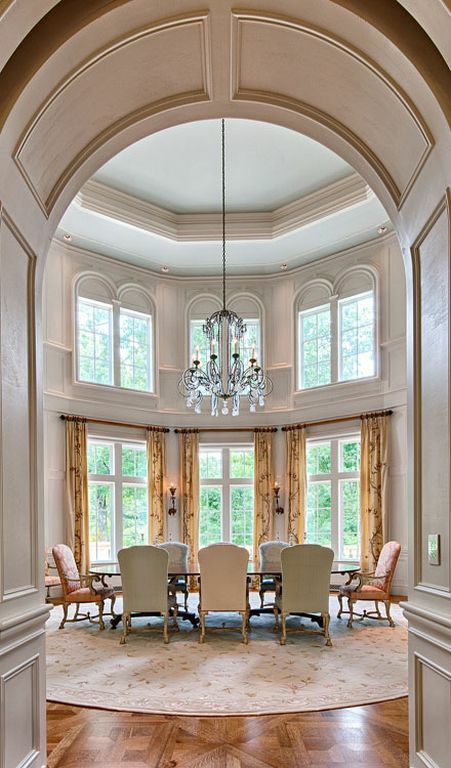 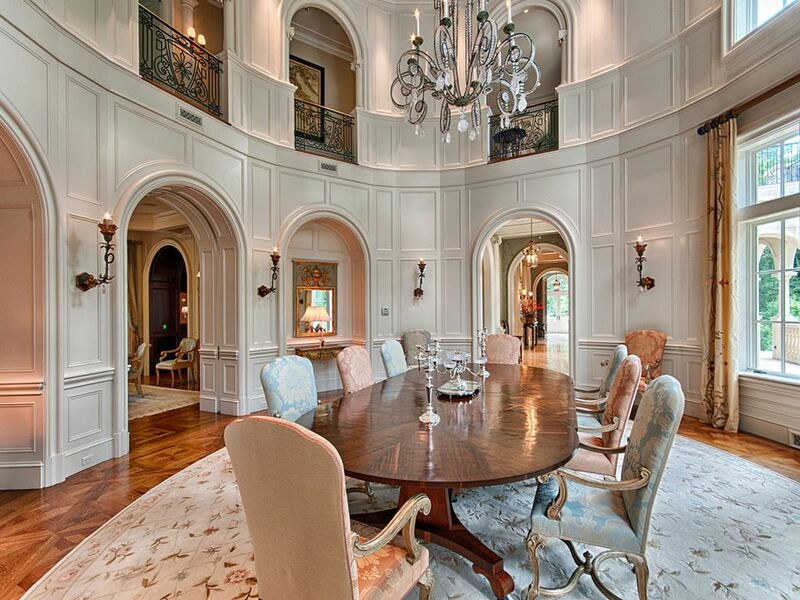 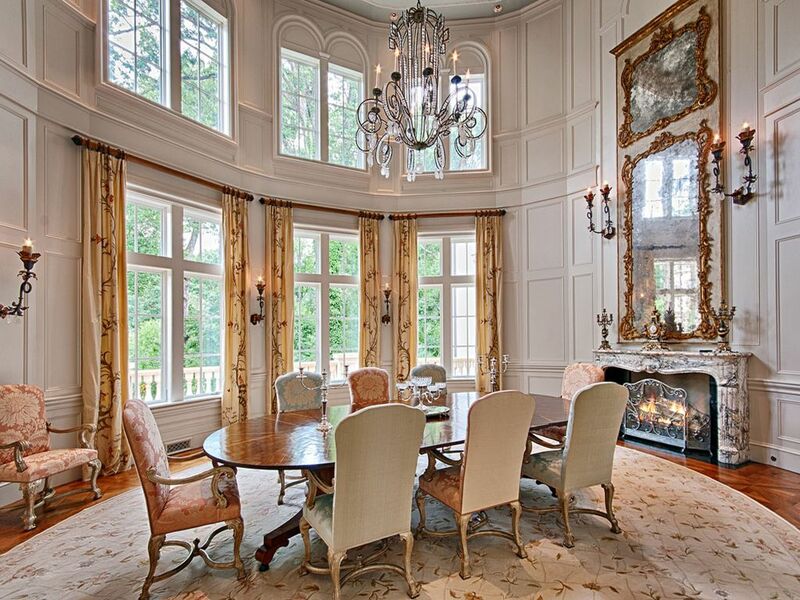 Marvel at intricate details and rooms such as the two-storey oval dining room with marble fireplace or the home’s centrally located oak bar situated to serve all entertaining areas. 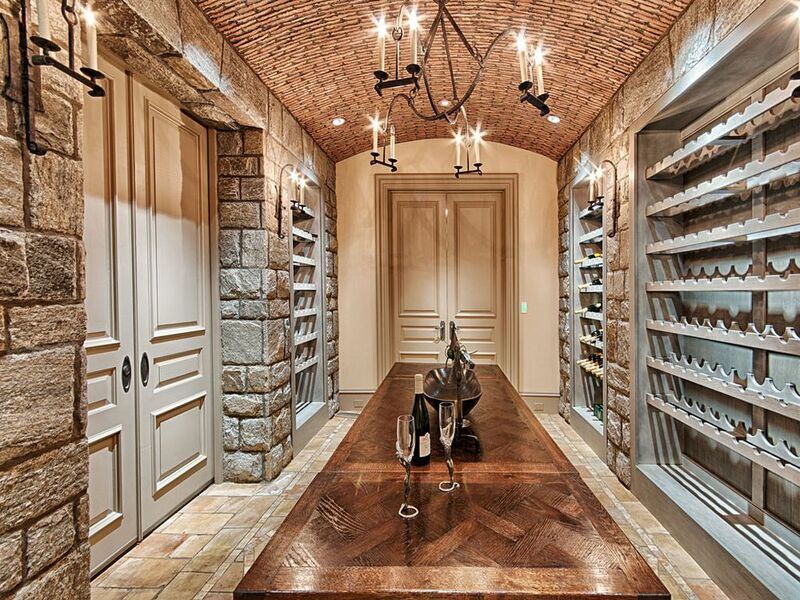 Features include an octagonal family room with French doors to the limestone terraces and gardens, a chef’s dream kitchen, caterer’s kitchen, a world-class roman bath with starlit ceiling and spectacular wine tasting room. 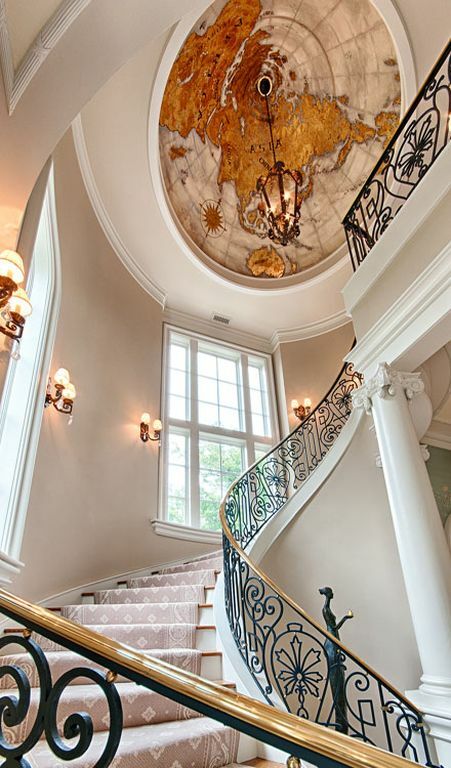 A spiral staircase with custom made railings designed by the owner leads to a domed ceiling with a gold leaf map of the ancient world. 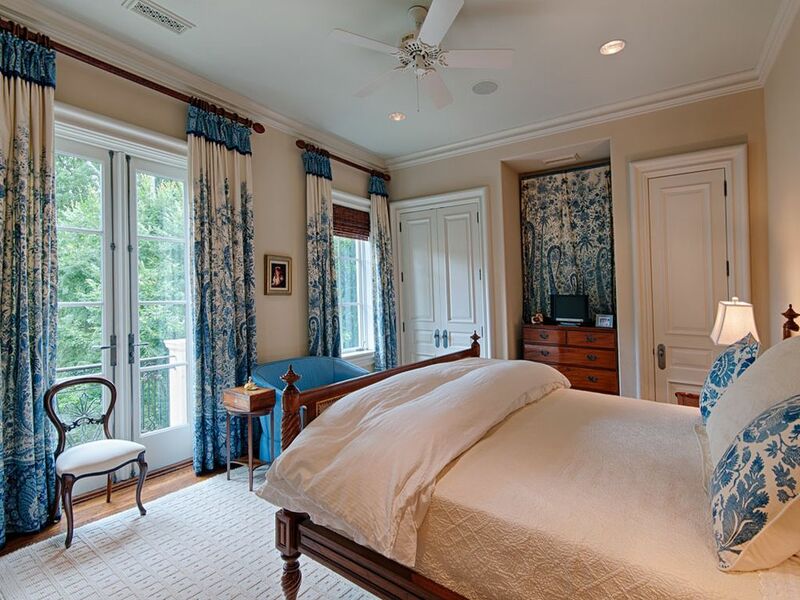 There are 5 bedrooms & 10 bathrooms throughout the manor, as well as 4 full kitchen and garage space for 4 vehicles. 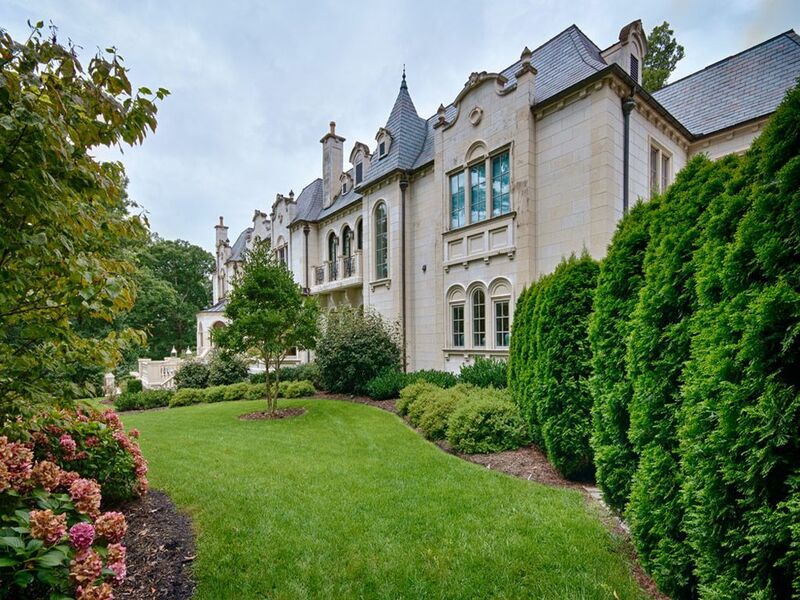 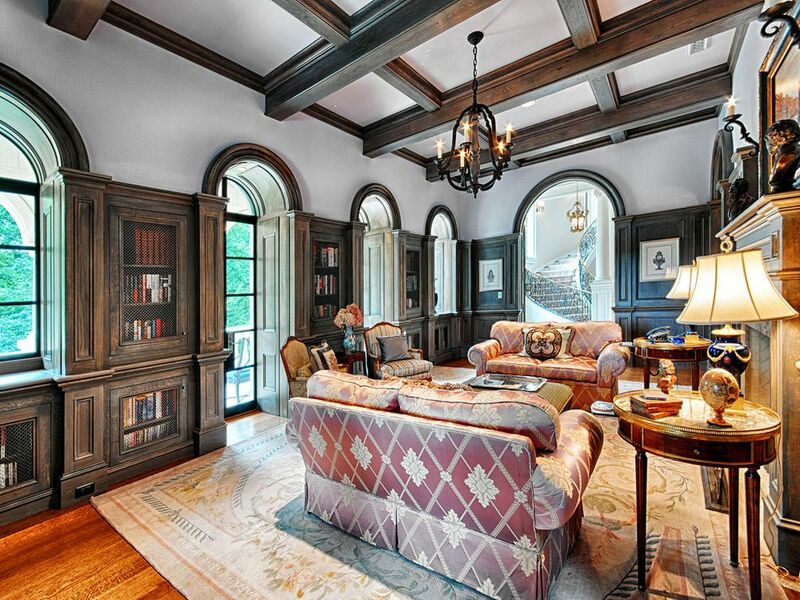 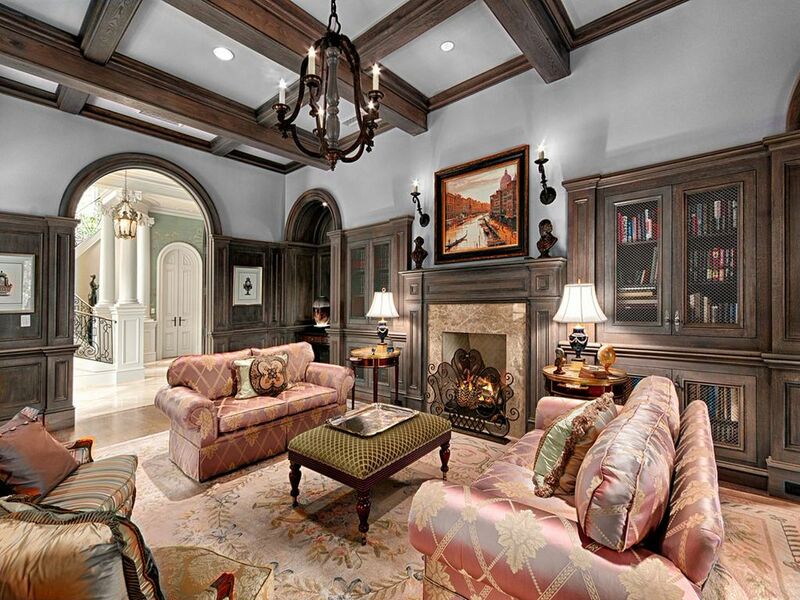 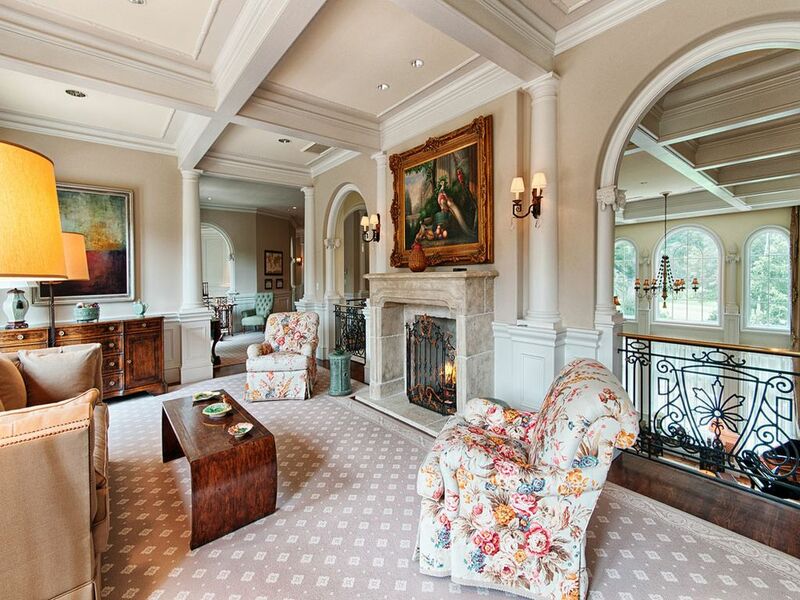 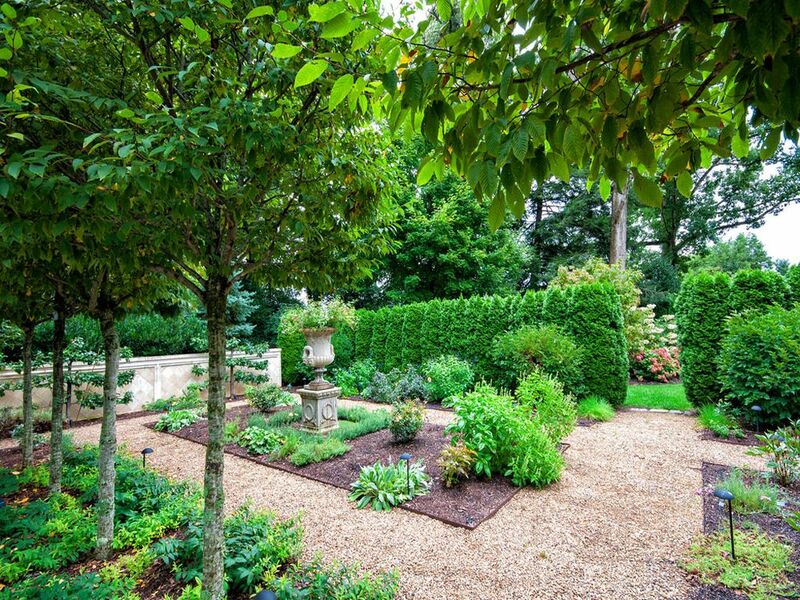 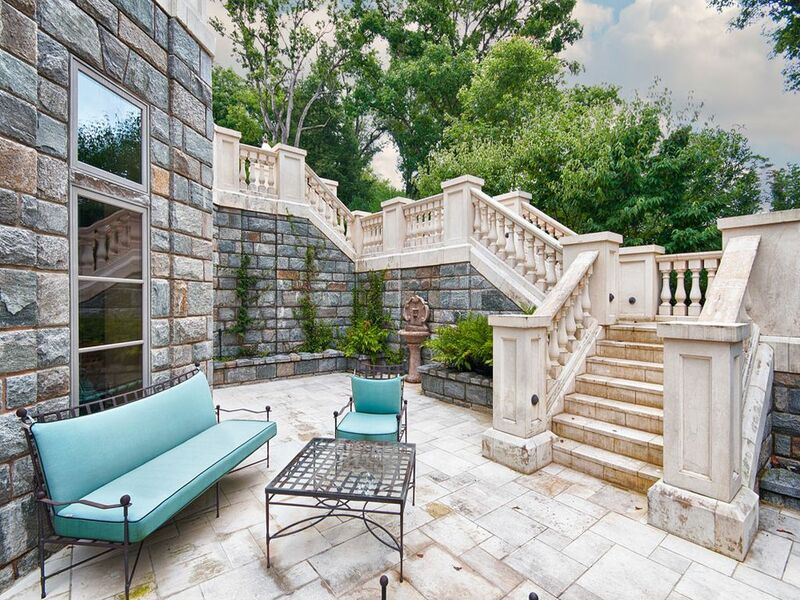 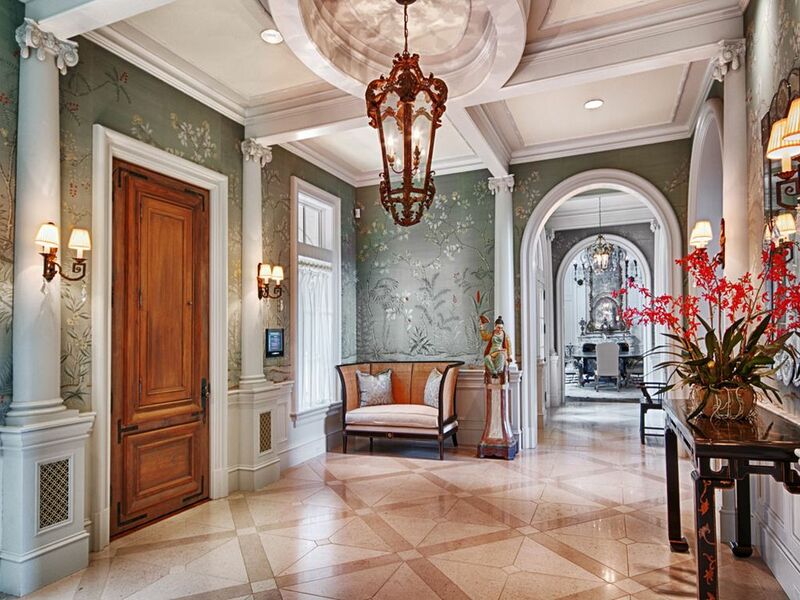 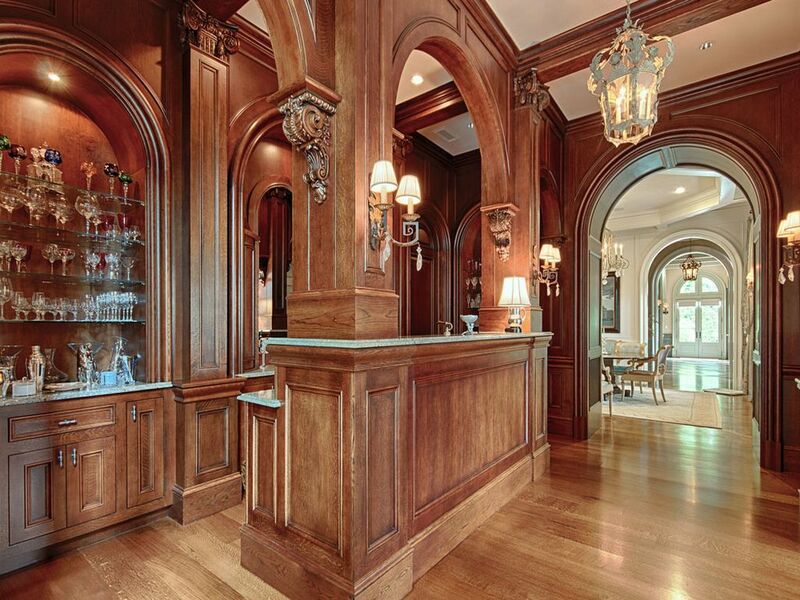 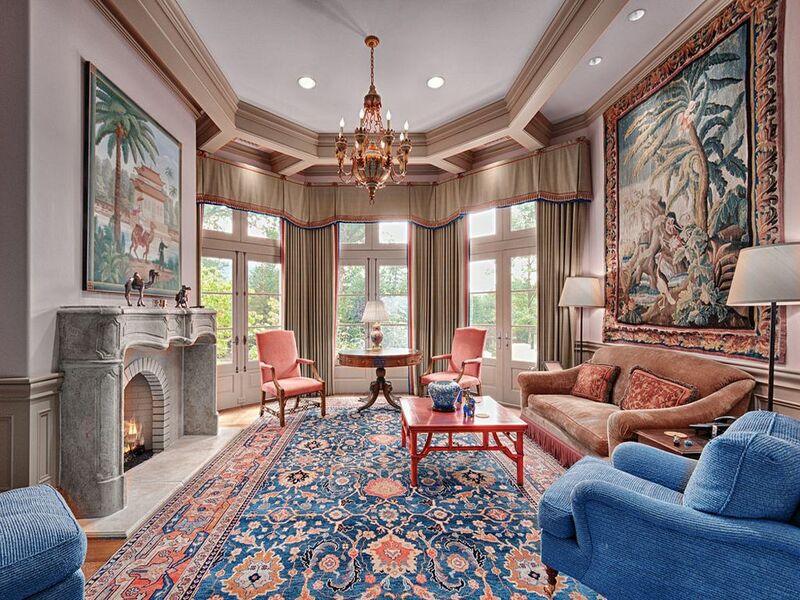 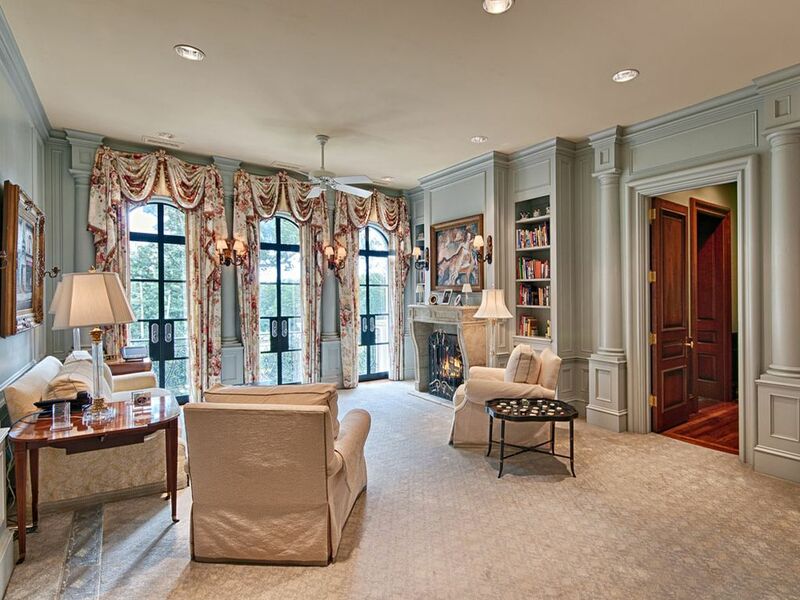 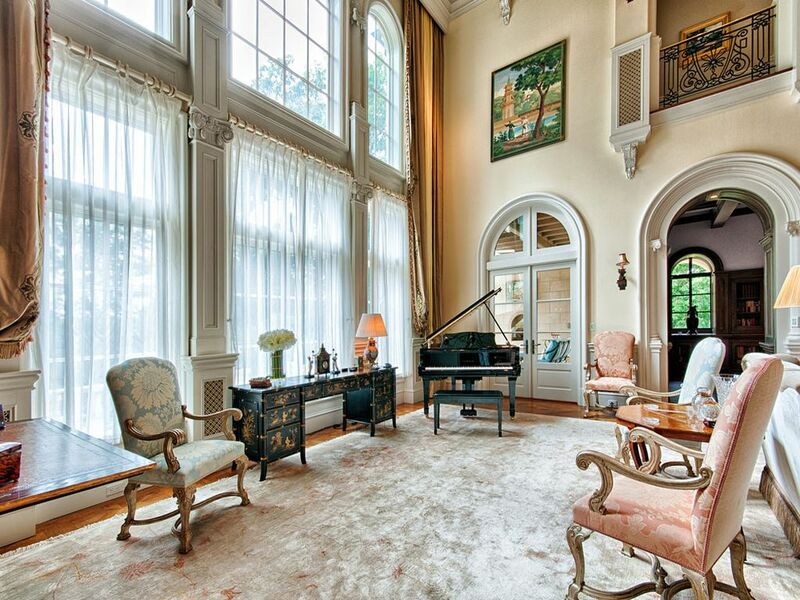 The property is on the market for $10,750,000 with Ann Skoglund.